Pour the boiled water into a clean and dry ceramic teapot containing a teaspoonful of tea per person plus 1 teaspoon for the pot. Brew for 2 minutes. Strain. Mix the warm tea with mango and pineapple juice. 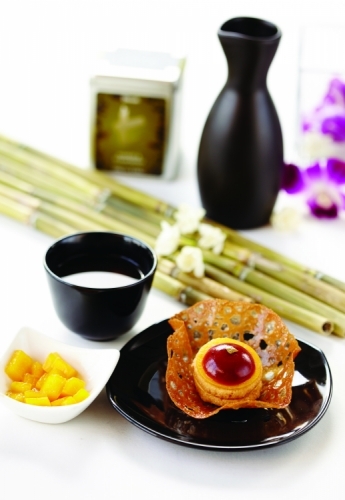 To serve, place fresh mango cubes at the bottom of sake glasses and pour the hot tea mix in.